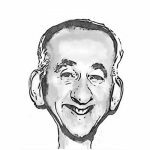 Fret wire has been around for well over a century. Surely it is just a curved piece of metal with some spikey bits to hold it in place? In the days when strings were made from dead cats, frets made from brass would last for the life of the instrument. 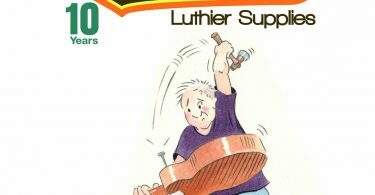 Guitar string technology has brought us a variety of new metals, coatings and designs. Players hammer, bend, tap and shred. Most fret manufacturers continue to make “standard” nickel silver fret wire. They mostly follow the Dunlop range of sizes and profiles. A few have introduced Stainless Steel. 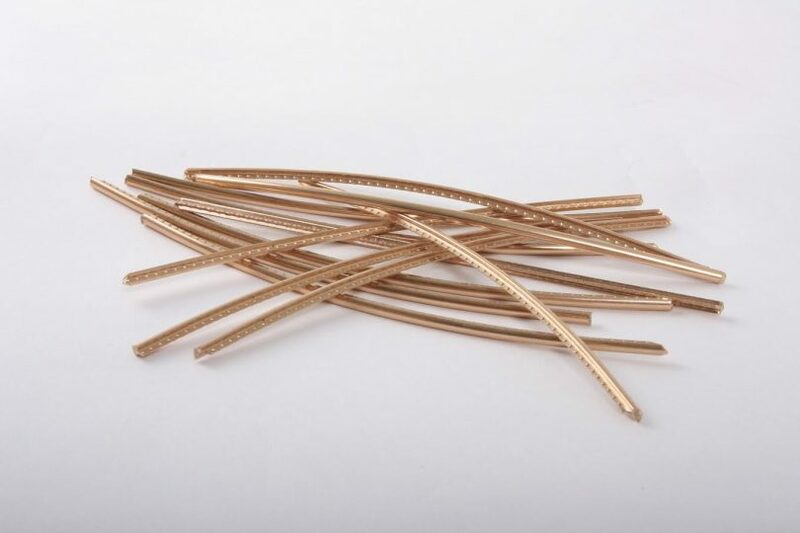 Only one fret wire manufacturer has devoted research and development to explore the influence of fret profiles and evaluate a variety of new metals, to offer a range of over 200 fret wire options. Sintoms of Belarus has invested in the technology needed to understand the science of fret wire and offer a multitude of improvements over the humble nickel/copper dome shaped fret wire. One recent innovation by Sintoms came about by thinking about the guitar player. Players who practice and perform daily need to regularly subject their instruments to re-frets. 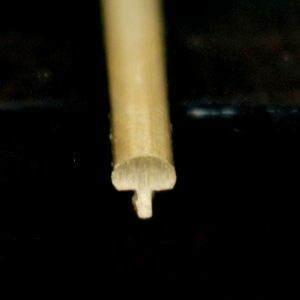 We all know that repeated re-frets start to damage the fingerboard. Sintoms researched alternative metals to find one that lasted much longer between re-frets. At the same time Sintoms were looking at ways to enhance the sustain and tone of the instrument by modifying the fret profile. Harder metals often adversely affect these properties. They concluded that a Special Bell Bronze metal would not only last around 7 times longer than nickel silver, but, in conjunction with a new profile called “Frill”, also showed improvements to tonal transfer and sustain. It makes sense for boutique guitar makers to consider utilising advanced fret metals and profiles. 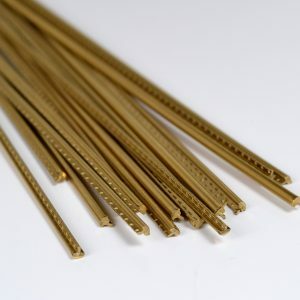 The care and attention they give to producing superb quality instruments can be further enhanced by selecting fret wire that suits the player and gives them years of playing enjoyment. We’re looking for some willing boutique guitar builders to trial Sintoms new Special Bronze Frill Profile Frets. 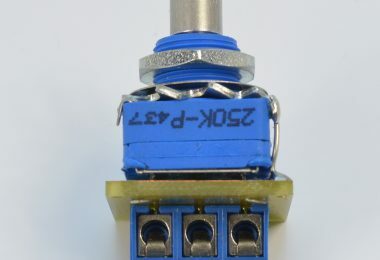 These have a 2.48mm wide crown and a crown height of 1.38mm. 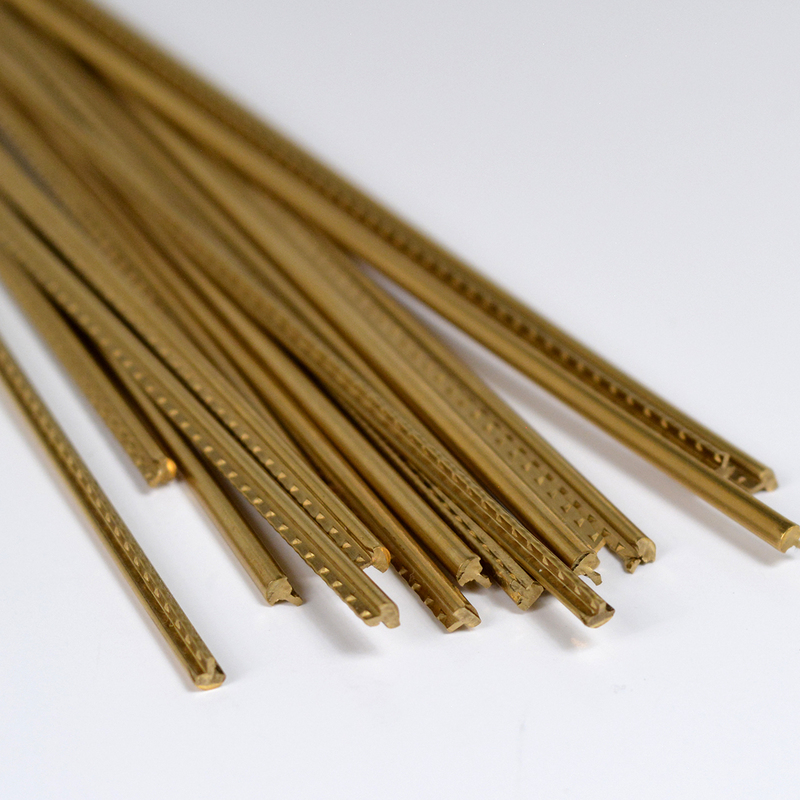 We have some free samples of this fret wire available in straight lengths. Please contact bill@tonetech.co.uk and we can begin our trials.